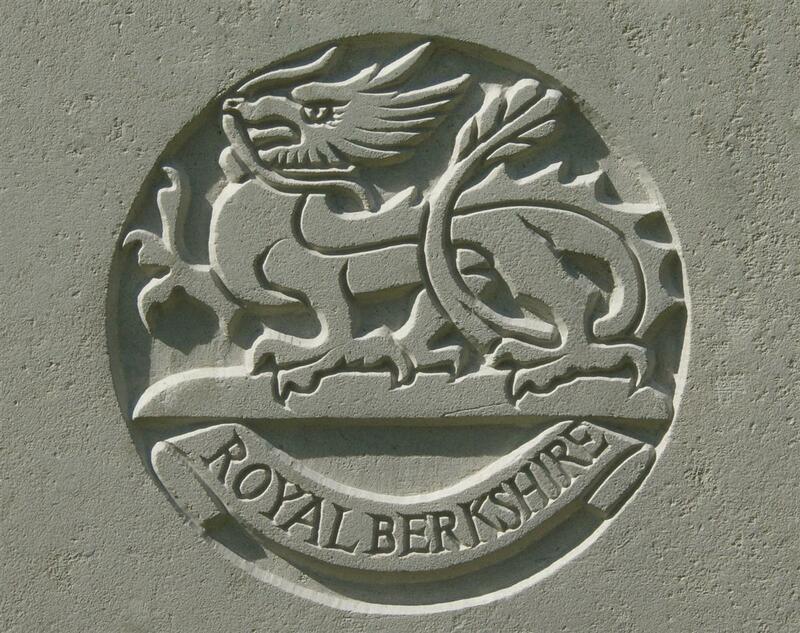 Private 15978 Albert Prior, 2nd Battalion, Royal Berkshire Regiment. lived there with the Lloyds. Albert was born in Burghclere in 1882 the youngest child of John Prior and his wife Lucy (née Culley). His siblings were Joseph (born 1872), Sarah Ann (1874), Frederick John (1877), and Beatrice Mary (1880). Albert was 15 when his mother died in 1897, old enough to already be at work; by the time of the 1901 census the family was scattered the menfolk living as lodgers and the two girls with families in Speenhamland and London, where they were live-in servants. Beatrice was working for the Ravenor family where she would have known the three Ravenor boys (Richard, Arthur and Geoffrey) whose names appear with Albert’s on the Newbury War Memorial. 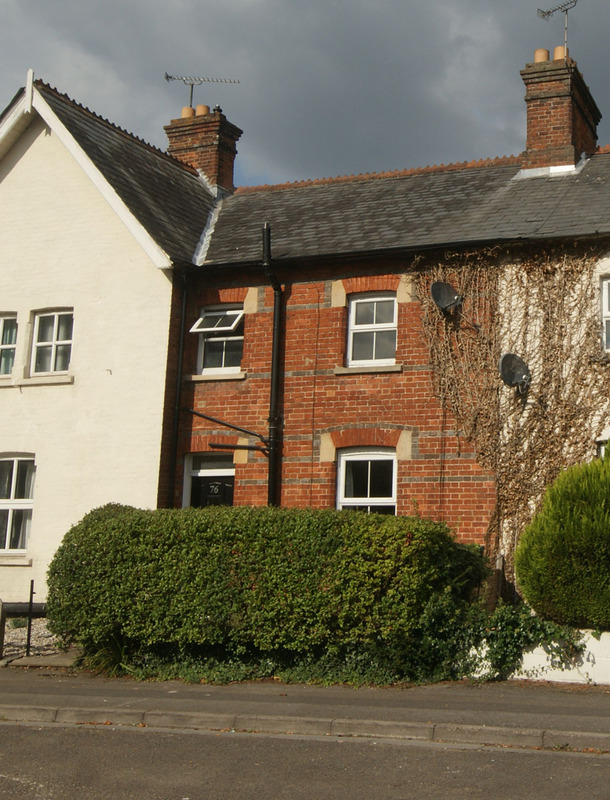 Albert was working as a bricklayer and lodging with Thomas Lloyd and his wife, Sarah Ann, in Newtown Road, Newbury. He moved with the Lloyds to 6 Rosebery Terrace in Greenham Road and was still with then when the 1911 census was taken. Rosebery Terrace is no longer a recognisable Newbury address, but the cottages are still there having lost some identity when the road was numbered as a whole – the Lloyds home is now 76 Greenham Road. Albert and Amelia were very close neghbours, . In 1912 Albert married Amelia Clara Giles, the niece of Harry Taylor, landlord of the Blue Ball public house – which was opposite the Lloyds house in Rosebery Terrace. Amelia was working and living at the Blue Ball. The couple had two children, Henry J in 1913 and Albert G in 1914. When war was declared in August 1914 many expected it all to be over by Christmas, hundreds of thousands of young men enlisted in the hope that they would not be too late to take part. Shortly before Christmas the news from France was not so good. The Germans had been held after much desperate fighting and heavy losses on both sides; no one thought it would be over by Christmas. Albert almost certainly waited until after his second son, Albert, had been born before enlisting into the local infantry - the Royal Berkshire Regiment. After a relatively short period of training Albert was sent to join the regiment’s 2nd Battalion in France, where he landed on 7 April 1915. A few days later he would have reached the battalion in the field. On 1 July 1916 the battalion went over the top in one of the many disastrous attacks of the first day of the Battle of the Somme. The German positions to be were to attacked were in front of the village of Ovillers, off the Albert/Bapaume road. No Man’s Land was particularly wide at this point and was overlooked by German positions to the north. As the assault on these positions failed the Germans were free to fire across the 2nd Berkshires as they advanced. Despite this some of the Berkshires reached and captured a portion of the enemy front line. However, too few of them made it and it was impossible to follow up with the extra men and munitions that would have been needed to hold the position, which was, in any case, totally untenable as neither flank was covered by an equivalent advance by the battalions to left and right. Attack on OVILLERS. The Battalion took up its assembly position in accordance with Brigade Operation Order No. 100. The 2nd Bn Lincolnshire Regt was on the left and the 2Bn Devonshire Regt on right. Our own wire was not sufficiently cut and parties were immediately sent out by Companies to clear it. At 6.25am the intensive bombardment began as scheduled. At about 7.15am the enemy opened rifle and machine gun fire on our line; this fire was probably drawn by the 2nd Devon Regt which at about this time attempted to line up in front of their parapet. At 7.20am Companies began filing down trenches and getting ready for the assault. At 7.30am the three assaulting Companies advanced to attack the German line. They were met by intense rifle and machine gun fire which prevented any of the waves reaching the enemy lines. A little group on the left of the Battalion succeeded in getting in, but were eventually bombed out. At about 7.45am the commanding officer (Lt Col A.M. Holdsworth) and second in command (Major G.H. Sawyer DSO) were wounded in the sap on the left of our front, the commdg officer handed over Command of the Battalion to 2nd Lieut C. Mollet (Actg Adjt) by this time the parapet was swept by rifle and machine gun fire which prevented any exit from our trenches. The enemy replied to our intensive bombardment by barraging the front line from about 6.35am onwards. No message was received from other Battalions in immediate vicinity. At about 11am the order came from Bde Headquarters to "stand by" and await further orders. About 200 men of the Battalion were collected on the right of the front line and in the assembly trenches off Ulverston Street. At about 12.30pm news was received that the Brigade would be relieved. At about 3pm Major Hon R. Brand, 2nd Rifle Brigade arranged to take over all the front line and with the sanction of the Brigade the Battalion was withdrawn to Ribble Street. On relief by the 37th Infantry Bde, the Battalion marched back to bivouac in Long Valley. Two Lewis Guns were damaged, Steel Helmets proved invaluable and in numberless cases saved mens lives. Officers: Killed In Action: Lieut A J G Goodall, 2nd Lieut S S Schneider. Died Of Wounds: Lt Col A M Holdsworth. Wounded: Major G H Sawyer DSO, Captain B Haye, Captain J A Cahill, Lieut W C Adams, 2nd Lieut W S Mackay, 2nd Lieut J V R Owen, 2nd Lieut R G Green, 2nd Lieut W Gale. Missing: Captain H T Rowley, Captain R C Lewis, Lieutenant B S Robinson, Lieut O G Payne, 2nd Lieut H Godfrey, 2nd Lieut B H Belcher, 2nd Lieut P G Shirreff, 2nd Lieut M I Heming, 2nd Lieut S H Bedford. Other Ranks:- 33 Killed, 3 Died Of Wounds, 260 Wounded, 118 Missing. Albert was among the missing. In the circumstances of the assault it was relatively unlikely that a man would be taken prisoner, the odds were that a man reported missing was lying out in No Mans’ Land, or had been blown to unidentifiable bits by a shell. In all 148 ‘other ranks’ are recorded by the Commonwealth War Graves Commission as having died that day – only six of the missing turned up. All the missing officers were later presumed dead – as was Albert. 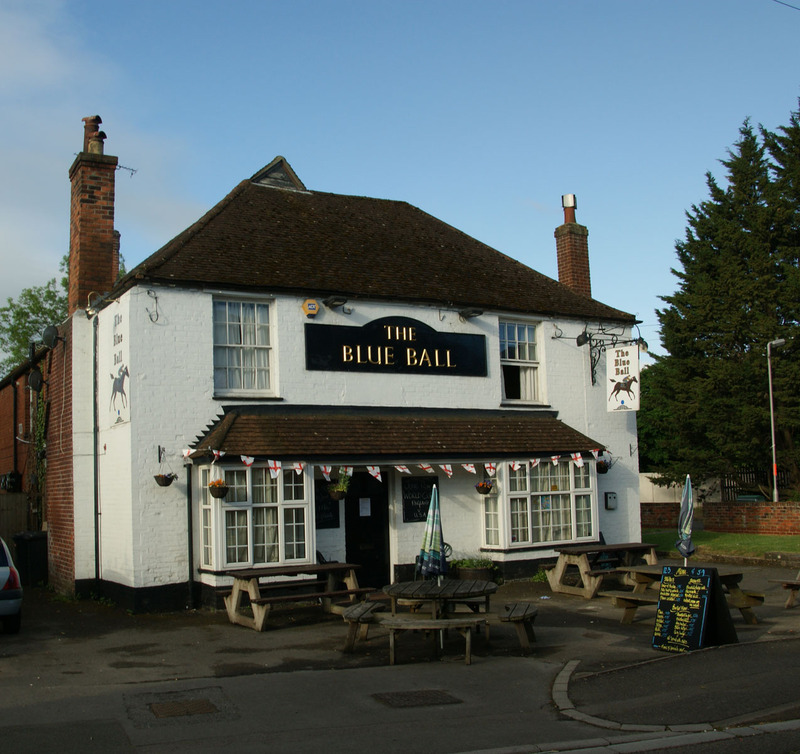 Any information regarding Private Albert Prior, No 15978, 2nd Royal Berks, C Company, BEF, France, who was reported missing on July the 1st, 1916, would be gratefully received by his wife, Mrs A Prior, Blue Ball, Newbury. Mrs A Prior received official notice from the War Office on August 23rd, after 13 months suspense, that Pte Albert Prior, 2nd Royal Berks, C Company, must have been killed on 1st July, 1916. In loving memory of my dearly loved husband, Albert Prior, killed in action July 1st, 1916. – Gone, but not forgotten. As his remains were never identified Albert is commemorated on the massive Thiepval Memorial, which bears the names of 72,255 men, collectively known as the Missing of the Somme. 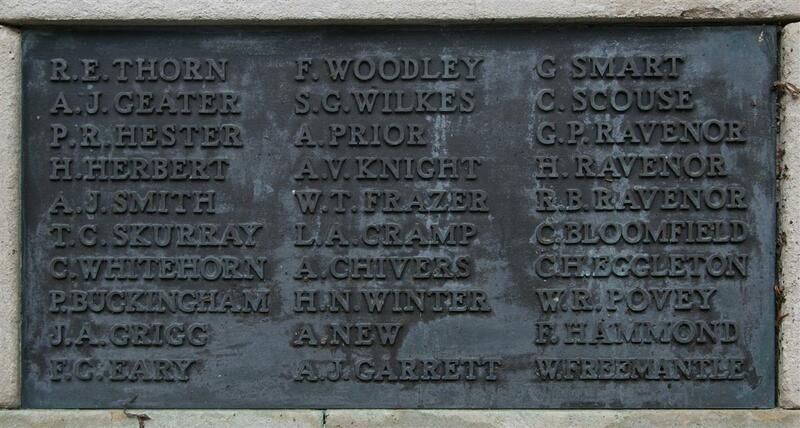 Locally Albert is remembered on tablet 12 of the Newbury Town War Memorial, he was also remembered on the roll of honour in St John’s Church, Newbury (destroyed by a German bomb in 1943).